Before I started writing this, I had a rough idea of what I was going to say, but then as usual my mind shot away from me and I’m now almost certain that what you’re about to read is going to be a jumbled yet beautiful mess that is all about my love of cruise. 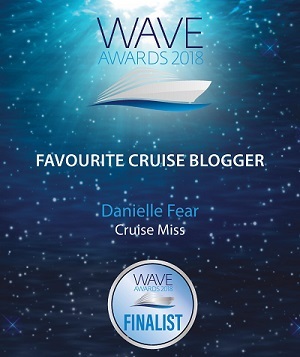 I think it’s fair to say that my life revolves around cruise, I eat, sleep and breathe it, and I am in constant awe of the massive community it has created. It’s so much more than just a holiday choice, for many people it’s also a lifestyle. There are dozens of forums, groups and pages spread across social media that are dedicated to this amazing industry, some of them are even dedicated to specific cruise lines and ships. You don’t get that kind of camaraderie from a land-based holiday, that’s for sure. We look at our ships as part of us and we never forget the first! As cruisers, we have so much more to talk about than JUST the holiday experience because the ship herself is also very much the main attraction. The ship brings us all together, but at times, like in any situation, the ship can also be what divides us on opinions. This then leads to healthy discussion and a social scattering of pros and cons from both passionate sides. It’s great fun. I prefer a smaller, more traditional cruise ship, but I have friends that would much rather spend their time on something with upwards of 4000 passengers. Either way, we all just want to be on a ship, so even when we disagree, to an extent, we still agree! There’s something almost addictive about waking up to a new view every morning. I sit in my office every day and when I look out the window, for as far as my eyes can see, there’s a huge RV, a few trees and several other houses. It’s not quite the same as going out onto the deck and spotting a pod of dolphins playing in the water. I know I was born to wander because I can’t sit still, and I thrive on an ever-changing scenery. The same view from my window every day is only tolerable because I can dive into magical lands and amazing cruise ships via my laptop – a blessing that comes with working in the cruise industry full-time. If I hadn’t discovered cruising back in 2007, I have no idea what I’d be doing right now. The smell of the deck as the wood warms beneath the sun, to the pink and undisturbed sunsets, there’s nothing I dislike about being on a ship. OK, I don’t like disembarkation day but let’s not go there. 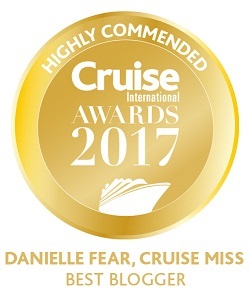 I’ll not keep you here for much longer, I really could go on about this for weeks, but I just wanted to drop a little ‘cruise love note’ while we enjoy going around the world via the #CLIAworldcruise on social media. 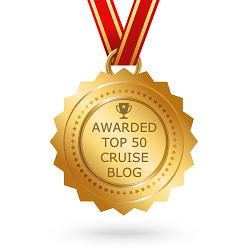 I’ve been on more than 55 cruises and sailed to some of the most impressive destinations on the planet. I wake up every day feeling so incredibly fortunate to have the opportunities that I do, and I will never tire of it. 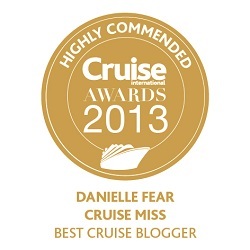 What do you love most about cruising? Tell me your stories, leave comments below or let me know via Twitter or Facebook.